Policy@Sussex is a bridge between policy-relevant social science research across several departments of the University of Sussex and the policymakers, influencers and shapers who act on evidence. A strong interdisciplinary approach and rigorous academic research offers innovative insights on current policy challenges. Whether it be for an initial conversation, co-operation, consultation, collaboration or co-production of research we would be very happy to hear from you. 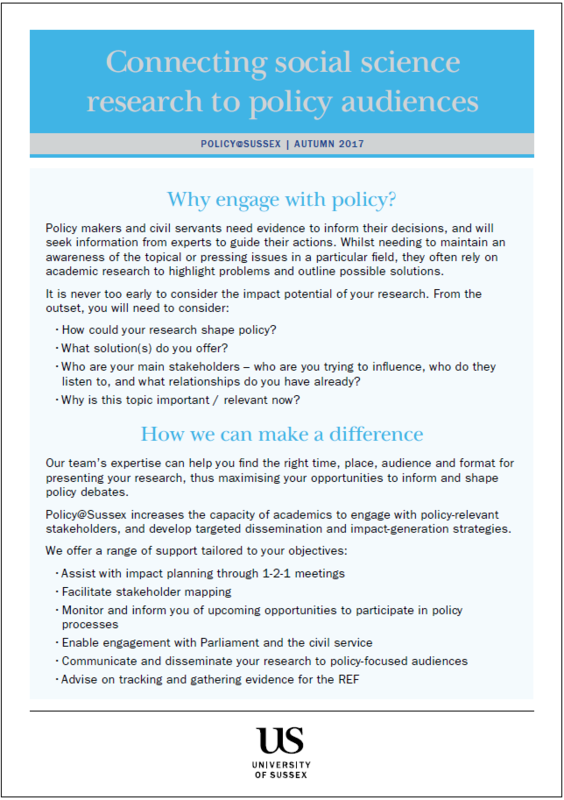 Or read more about Policy@Sussex and what we can do to help you engage with policy.